This is an interview with the group “To the Struggle” (based in Norway) conducted by Nickglais, editor of Democracy and Class struggle. 1. Can you tell us briefly about Communism in India? The Communist Party of India was founded originally in 1919 in Kolkata then re-founded in Soviet Tashkent in 1925 under the impact of the Russian Revolution. The Communist Party of Great Britain was closely involved in the formation and British Indian comrades like Saklatvala and Rajani Palme Dutt were early influences on the Communist Party of India. N M Roy an Indian Communist also distinguished himself with contributions to the Comintern. The Communist Party of India concentrated on the urban areas in the 1920’s and 1930’s and faced repression by the British authorities who banned the party. Of the repression the most famous case in the 1930’s was the Meerut trial. Just before starting the general strike, UCPN Maoist organized all party gathering at a hotel Yak and Yeti. Writers, journalists, traders and businessmen and workers of civil society were present in the gathering. These all expressed their opinion on the starting phase of the programme. 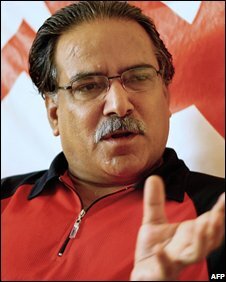 Then, UCPN Maoist Chairman Prachanda gave a short cut speech on the basis of the expressed opinion. The opinion of all the participators was that the movement should be run in a peaceful manner. However, there was a suspicion that Maoist will not hold the movement peacefully; rather it will somehow be violent. This means that the essence of the opinion of the participators was that UCPN Maoist would not hold the peaceful movement. They thought that Maoist has not such type of efficiency, tactics and belief in some extent. The intellectuals were primarily broadcasting their assumptions from media that the movement will be violent. This scenario created by the propaganda showed that Maoist would enter into the valley with their violent activities from Thankot blockade. Likewise, some other groups of Maoists would enter into Kathmandu Valley through Banepa blockade with naked knives in their hands. And, some other had propagated that Maoist would enter Kathmandu by beating all the street walking people and porters through Nuwakot blockade. Extreme chaos would be created in Kathmandu. This was the traditional forecasting of the fortune tellers of Nepalese politics. Thanks to Ka Frank for sharing this report. Sanhati, a forum for solidarity with peoples’ struggles in India, successfully organized a protest demonstration in front of the Indian Consulate in NYC on August 13 against Operation Green Hunt to coincide with India’s independence day on 15th August . The protest demonstration was endorsed by the Alliance for a Secular and Democratic South Asia and was attended by individuals from Massachusetts, New York, Ohio, Pennsylvania, and Texas representing diverse South Asian and international organizations like SASI (South Asia Solidarity Initiative), ILPS (International League of Peoples Struggles), ISO (International Socialist Organisation), RCP (Revolutionary Communist Party) USA, FRSO (Freedom Road Socialist Organization), WWP (Workers World Party) and others. A legal observer from the National Lawyers Guild (NLG) was also present during the protest. Present political situation is marked by various twists and turns and ups and downs. After the abolition of autocratic monarchy ruling over Nepal since last two and a half centuries, the contradictions of Nepalese are in the process of changing. This change in the contradiction has brought some new changes in political alliances and new conflicts. The political parties which made repeated commitments before the people of Nepal and at the international sphere, proved futile when the tenure of the Constituent Assembly(CA) nearly ended without accomplishing its job of writing a new constitution. Though the term of CA has been extended for another one year, making new constitution is still a tuff job, because the diff erences among the major political parties remain unresolved and new issues of diff erences have cropped up regarding many questions related and unrelated to the constitution. This article has been prepared based on such political circumstances. Nepal’s Revolution: Moves to Confrontation or More Attempts at Finesse? Kasama received the following essay from its author. Confrontation or finesse or movement for constitutional issues ? Reactionary and status quoist parties at home and imperialist powers in foreign countries are blocking the Maoist party from going to power. They are forcing this party to dismantle all their forces and weapons. The old army is hiring new incumbents and accumulating weaponry but the defense minister is threatening to use force to stop the new and retaliatory hiring, if any, in the Maoist army side. How futile you think the effort is to go to power for the Maoist on the basis of the shaky votes which can be easily horse-traded to pull them back and when they have been defeated continuously for four times? Which path ahead: confrontation or finessing or a midway of waging peoples’ movement on the basis of issues to be incorporated in the new constitution for the time being? Nepal is at a terrible cross road. Nepal has shown number of negative and positive extremes in recent years. It has witnessed a number of achievements as well as failures during this period. Among them, political economic extremes are most notable. While militarily unbeatable armed struggle led by the Maoists (the Peoples’ War) and the resultant abolition of monarchy are the major positive extremes, the unusual political economic stalemate at the later part is the major negative feature. As a result of the War, the marginalized, underrepresented and disadvantaged section of people such as disadvantaged ethnic groups, women, dalits (the so-called ‘untouchables’) have become politically aware, organized, empowered, have significantly increased representation in the parliament and have enjoyed some reforms in elementary education, primary health care, reforms in women rights such as heir and mother-based citizenship rights, pay and wage raises and distribution of lands to some bonded laborers. To the negative side, a globally notable revolutionary Peoples’ War has now confined to incremental parliamentary plays before the conclusion of the agendas of the War and/or the placement of a legal and revolutionary constitution. To speak the truth, the parliamentary plays have resulted in a political stalemate, non-governance and anarchism. The country has failed to elect the prime minister for the fourth time again yesterday. Neither Maoists nor the opponents have been able to agree with each others proposals of integration of the Maoist army. The power holders including the (caretaker) prime minister are in a race of accumulating wealth for the life time through the front as well as the back doors. Ministers are involved in public fund or resource (such as mines, forest, herbs, etc.) embezzlements. Tradesmen are creating artificial scarcities of everyday goods and raising prices arbitrarily. The so-called government is irresponsive. The situation of law and order is record worse. Many ordinary citizens, press reporters, Maoist cadres, tradesmen, police officers and medical doctors have been robbed, abducted and many of them have been even killed. The cross-border problems have risen. Border pillars have disappeared, dislocated and people in the bordering areas have lost their lands and country in these encroachment processes. Decent people have been robbed, rapped and tortured by border security people. Instead of protecting countrymen, the foreign minister takes the side of the foreign oppressor. The life of people is very difficult. Besides the problems caused by global warming (such as drought, flood, drying up of drinking water sources, etc. ), political economic and socio-cultural problems have also horribly hit the lives of people. Many major discriminatory practices are still in operation in most parts of the country. Back door oppressions by feudal lords have greatly reduced because of the War but the front door sucking (like low wages, high interest rates, high service charges especially for education, health care, clothing materials, apartment rentals, housing materials and accessories, telephones, utilities, transportations, etc., price rise of everyday goods /increase in the cost of living, disproportional product pricing, etc.) and black marketers have still making the life of the resource poor very difficult. In rural areas, still a large portion of people have little or no land to make the living. Unemployment or lack of cash income has severely hit the life of people. Those who can invest for foreign labor employment have got some relief but many of these also have been cheated by labor supply companies or the employers in the foreign countries (the gulf countries, Malaysia, Korea, etc.). Many female Nepali workers in foreign countries (especially in gulf countries) have committed even suicide. Kamaiya (the male bonded laborers) have been legally freed but have no or insufficient resource ownership to support the living. Many homes and farms of Kamaiyas that settled in public lands were destroyed and several Kamaiyas were even killed by the government. Kamlari (the female bonded laborers) have still not been freed. A sizeable number of freed Kamaiyas have committed suicide for not being able to protect or feed or provide medical treatments to the kids or the family. These kinds of suicide cases have been frequent lately among other resource poor families too in remote areas. Many poor low caste or dalit women have been beaten to death by usually the neighborhood high caste, non-dalit richer people blaming the victim to be practicing witchcraft. The revolutionaries as well as the government have been helpless to these suiciding or beaten or difficult-to- make-a-living families. Neither most ordinary people nor the country has experienced improvement in the living of most people after the War (please visit the interview archieves of BBC Nepali radio or Radio Sagarmatha or Radio Mirmire with economist prof. Dr. Madan Dahal and Young Communist League officer comrade Chandra Bahadur Thapa last month for further evidences and details). While Maoist leadership of the War is considering the parliamentary play as the essential pathway for the successful conclusion of the agendas of peoples war and resolution to the management of Maoist army in the confinement, it has no meaning to these sections of people. They rank all participants of the parliament to fall in the same category! Even educated mid class people have frequently rated almost all participants of the parliament to belong to the same category. They argue that most of these parliamentarians have united over issues related to their tenure or salary or benefits or jurisdictions. All of these party leaders have been seen to die for government positions and personal names or comforts, to practice dirty games for the positions and have non-principled alliance for the positions. All of them are centered around the interests of the mid or higher classes and are limited to reforms that benefit these classes. None of them have voiced or proposed for regulation against the hardships of the above mentioned labor class people. They argue that none of them have voiced against inhumane private profiteering, unjust accumulation of wealth, regulation of wages and interest rates, ownership of fruits of labour by the labourer, ownership of the means of production and survival to all decent people, etc. They hold that even the Maoists have not proposed these things in their proposed constitution. They even charge that each party in the parliament have shown the same behavior or attitude toward foreign powers when they are/were in power. They have coined a phrase in Nepali ‘Kaale Kaale Milera Khaaun Bhaale’ (implying to mean: let’s unite in securing the safe heaven of accumulating wealth and comforts) to denote the finesse for keeping their common anti-people interests. These arguments show the extent of frustrations in the rank of people about the situation and the behavior of the political parties. This situation also shows the challenge the Maoists have in proving themselves to be a party of the laboring masses or to show that they are different from other parties in the parliament. On one hand, there are severe disagreements between the Maoist and the non-Maoist parties. On the other hand, Maoist party have been charged to deviate from the original line and finessing with the mainstream politics by subtly moving away from the interests of the laboring masses. So, many people are curious to know whether the Maoist party is away from its original mission or not. True to Its Maoist Mission? It is a big task to evaluate whether the Maoist party is honest to its original mission. The information gaps, the time frame from the time of the Peace Deal (in 2006), and the zigzag way (i.e., mixed with ups and downs) of its developmental history will certainly limit the accuracy of almost any honest person’s evaluation. Only a generalization of findings from a big number of honest people may be close to the reality. So, I encourage a big number of honest comrades to try to evaluate and share the findings in order for correcting them in time. Since this is a big task, I would like to try to do this in my next note. Today, I would like to list the parameters I would use in the evaluation and give you some facts available by August 7morning Nepal time to help you in the evaluation process. I think, any force that is trying to bring a historic and societal level change for justice and equity even to the historically discriminated but a huge class–the laboring class—need to be evaluated in many respects. It should range from the relevance of their theoretical understanding to the causes and solutions to the problem (injustice and disparity), the set goals/ missions and the pathways, the adherence to the understanding and set goals/ missions and the pathways and the level of flexibility and creativeness to adjust to the changed situation to meet the goal or reach the mission. In the case of Nepali Maoist party, the parameters would be whether their ways helps them capture and sustain the state power with minimum losses of blood or not and whether their assumption of the power would help establish the desired structures and institutions in such a way that target classes and sections of people could enjoy justice and equity in a sustainable manner. The pathways in their case would be to establish peoples’ democracy for serving the interest of the majority people (the peasantry and the labour classes) and then transforming into a socialist state by focusing on the interest of the laboring class. I would judge the activities and behaviors of the party in relation to its contribution to gaining state power and also in relation to the extent of serving the intended interests on the scale of time and the level of sacrifices. Before that, I would present facts to help judge them on the afore-said scales and parameters. Historically and constantly independent country Nepal was under remote control of the British India after Nepal’s defeat in a war with India and a resultant loss of beautiful Nepali territories like Darjeeling and Kumaon regions in 1759 A.D. and especially during the Rana regime that started since 1846 A.D. (Rana dynasty was the in the premier role even though the Monarchy was existent). The country was in extreme feudal state during that time. The Nepali Congress (NC) party and few other democratic groups uprooted the Rana regime in 1950 to establish parliamentary democracy by waging armed struggle against them (not against Monarchy) with an indirect support from independent India. This party was the major ruling party after 1950 and won majority seats in 1958 parliamentary election and formed the government. Later the Monarch betrayed by taking an advantage of loopholes in the constitution and established autocratic ruling in 1960 and the NC waged another unsuccessful armed struggle in 1961-62 against Monarchy. The failure of the struggle and the dispute of this party with the establishment in India (with Indira Gandhi) led to a virtual reconciliation of this party with monarchy in 1976. After nominal reforms in the sate apparatus following the popular protest and referendum against autocracy in 1979-80, a section of this party has joined the mainstream politics under constitutionally autocratic monarchy and the whole party has been a major ruling party after the democratic movement and reform in the constitution (from an autocratic monarch to a constitutional monarch) in 1990. This party originally followed the principles of democratic socialism but has no definite theoretical line at the present time after the demise of advocates of this principle in the party. The communist party of Nepal was instituted in 1947. Communists also contributed to the move of 1950 and were against the tri-partite (between the Rana, the Monarch, and the NC) Peace Deal of 1950 mediated by India. Communists wanted to continue the movement to completely end the Rana as well as Shah (the Monarch) dynasty. Since no popular constitution was in place after 1950, communists wanted a strong Constitution Assembly to draft a peoples’ constitution. Communists in Nepal spent about four decades in doing the educational activities. Different sections of people at different parts of the country spontaneously waged violent or armed protests against the feudal exploitations but could not get continuity due to the lack of a party prepared to lead such movements. After the betrayal by the Monarch in 1960, a very autocratic constitution (called Panchayati Sambidhan)) was issued. During this difficult times, communists got fragmented and some of them surrendered to the monarch (as was the case with NC too). 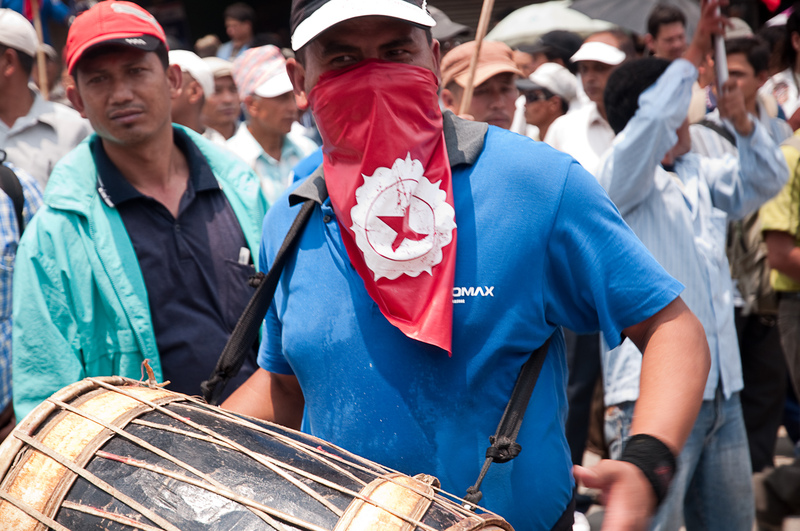 Some communists in eastern Nepal tried to coordinate the fragmented communist groups and formed a communist party in 1977 which is now the United Communist party of Nepal (Marxist Leninist), the main constituent of which was a group that waged a violent resistance against feudal landlords in Jhapa of eatern Nepal in 1972. This party has been a major ruling party after the political change in 1990. Similarly, other communists in western Nepal also tried in 1974 to reassemble the fragmented communists together by organizing a ‘Fourth Congress’ (the other three congresses were held before the defragmentation) of the Communist Party established in 1946. The current Maoist party was the constituent of the Fourth Congress. This party participated in the movement of 1980, was instrumental in the movement of 1990, boycotted the elections of 1981 but participated in the 1990 election and won 9 seats. When it did not find much room for reforms through the parliamentary process, this party moved to the Peoples’ War. The party took about four decades in educating the people about the principles of new democracy (as defined by Mao Tse Tung), socialism (as defined by Marx /Engels and elaborated by Lenin), imperialism (as defined by Lenin and elaborated by Mao) and in organizing them to voice against feudalist and imperialist exploitations. Anti-monarchy protests in the form of pamphlets, posters, walling in the leadership of the party appeared only at the end of 80’s. The 40-points demand that this party submitted to the then government as a condition whether or not to go away from parliamentary process contained mild issues related to improvement in life conditions of various sections of people and reviews of treaties with foreign countries. 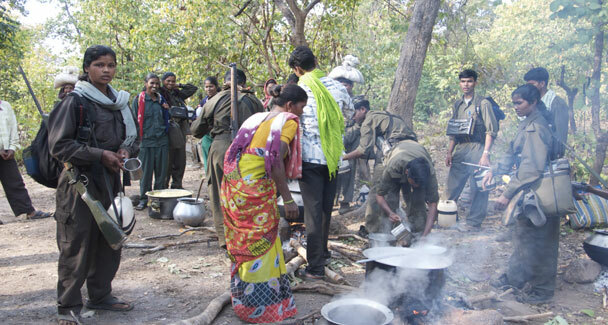 Maoists launched educational and cultural camps massively as a part of preparations for the peoples’ war. The deliberate attempts of NC _UML government to crush the revolutionaries by attacking those cultural and educational camps of the maoist in remote hills of western Nepal prepared background for armed resistance to the attacks. After beginning the peoples War in 1996, it gained huge popular support as people had hard times during the corrupt NC-UML government after 1990. This party fought the police until 2001 and after defeating the police it started fighting with the army since late 2001. By the time the police was defeated, conflict climaxed in the royal palace whether to use the army to crush the revolutionaries. This conflict culminated in the massacre of the royal family and the apparent advocate of the use of the army got in power, dismantled the parliament and operated a true dictatorship issuing a state of emergency. Maoists concentrated attack to the new king and his army as he terribly lost popular support for this anti-people behavior. Many evaluators including the US government assessed that the Maoist could not be defeated militarily. 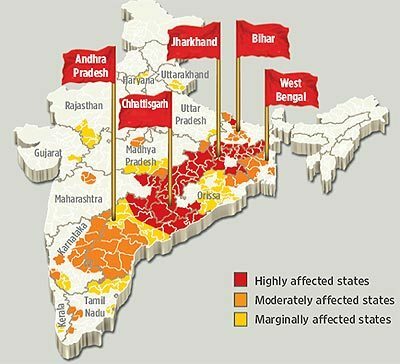 Maoists controlled about 80% of the country’s territories (mostly rural areas) and the government got confined to capital city only. Many foreign powers supported the government with weapons and consulting services to heavily fortify the capital city. 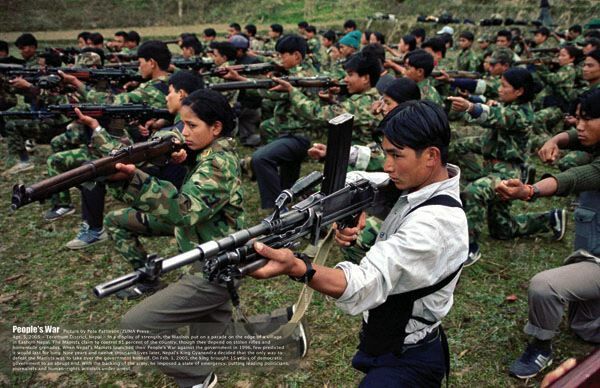 The Maoist army (PLA) were wining most battles, looked in upper-handed situation and had high morale. During the turbulent fights and sacrifices of thousands of lives, Maoist party also came up with various ideas and strategies. One of the main ideas emerged was the notion that the heavily fortified capital city could not be controlled solely through military ways and further urban political preparations were needed for it. The other new ideas emerged during this period included the issue of urban revolt and the issue of united front, the issue of open competition-based electoral system when communists are in power, the issue of economic policies, and the issue of management of the Peoples’ Liberation Army (PLA). They thought that the war will not United with Communist Party Unity Center (led by Nirmal Lama and Nar Bahadur Karmacharaya) in 1990-91, the unity got disrupted again by 1995 on the issue whether to go for protracted rural-based armed peoples war not (the splinter group was for a urban revolt). Maoist party during early 2000 thought of the need of integration of urban revolt in the Peoples War. This shift in the thought brought the party closer to the earlier splinter group later (later led by Narayan Kaji Shrestha) and got merged in 2008. As an apparent part of preparations to urban revolt, they underwent cease-fires, the Peace Deal, the formation of a constitution assembly (CA), the writing of peoples’ new constitution and confinement of the PLA to cantonment. The Maoist Party thought of the need of a united front against monarchy with NC and UML parties that were ousted from the parliament and the government. As a result, a 12-point Peace Deal was reached in New Delhi India between the NC, UML and the Maoists in the indirect mediation of the government of India. In the theoretical side, Maoist accepted the need of room for open competition –based electoral systems and governance by elected people from the anti-feudals anti-imperialists political parties. In the economic side, they accepted the importance of market economy or liberal economy during their government. As a part of improvement in army, they entered the deal of confining the PLA into cantonments until a mutually agreeable strategy of integrating the PLA and the old army to form a new army is worked out. The united front called for a popular resistance against autocracy and that was successful to kneel down the king. As a result, the king agreed to remove emergencies, reinstate the parliament and delegate his power to the parliament, elect the prime minister through the parliament and allow the Seven Party Alliance (the name given to the united front of the non-Maoist parties) make decisions. However, everything has not been going as in the Deal. A number of resistant behaviors have been observed on the part of the Peace Deal partners. The NC-UML tried to take sole credit of the resistance movement, accepted the incomplete and deceptive proposal of the king to stop the resistance movement, tried to keep the reinstated parliament for ever, showed resistance in declaring Nepal republic, secular and federal union through the parliament, showed resistance in conducting constitution assembly elections, showed resistance in handing over power to the new largest party (i.e., the Maoist party) in the CA after CA election. Later when Maoists came to power, they showed resistance to allow the prime minister to sac the blacklisted old army chief but, instead, took the side of the old army. Now they are saying that old army is the main army of the country whereas the PLA is not and can not be integrated in bulk (with bulk identity). They do not want to integrate as many PLAs (19,600.00) verified by the United Nations. Time and again they are recruiting people in old army and adding weaponry against the Peace Deal mediated by the UN. When PLA also said they would recruit more people in retaliation, the defense minister has threatened that she would use force to stop the recruitment. The situation has reached that climax. Maoists also approved to follow traditional bureaucratic processes instead of making bold political decisions since the time of the peoples’ resistance movement. They indirectly recognized the legitimacy of the reinstated parliament. When in power, they delayed in firing the blacklisted old army chief when the issue was fresh and had strong popular support to act boldly and revolutionarily. They appeared more reconciliatory than revolutionary. They did not take any action to any person who was blacklisted by the human rights commission despite the wish and request from the commoner. Few top ranking comrades appeared to practice affluent life styles. In a country where people commit suicide for not being able to feed the family, each central committee members of the Maoist party owned one or more luxurious cars even immediately after they were over ground in 2006! Regarding the dealing with India also, many finesse behaviors have been reported. It is known to all now that they had a party plenum at Kharipati in Bhaktapur in 2008 when the party was in government just to decide whether they should continue staying with Loktantra (the traditional bourgeois democracy) or should move forward to Janabaad (new democracy as defined by Mao). A big number of party leaders including few key leaders also appeared to be favoring Loktantra! One needs to research further what is working behind the efforts of the NC and UML to block the Maoist from coming to power again—is it more related to the party character or the character of the candidate or both or what?. They are saying that the reason why they do not want Maoists to come to the power is the lack of civil character in the Maoist party. They say that this party can not be a civil party until they dismantle their army by dissolving a small portion of them into the old army on individual basis (not in bulk), until they submit the weapons under UN’s supervision, until they dismantle the Young Communist League, and until they return the confiscated lands and houses to the original owner. They say that the new constitution can not be brought out until this issue is resolved. It appears that they want Maoist to completely surrender or completely confirm too their anti-people ways. Will they accept Maoists even after that if Maoists still remain their competitor in power ? On NC’s and UML’s request, maoist party has already dissolved the local parallel courts and parallel government bodies. So far, they have blocked the Maoist from getting elected prime minister for four times. However, they said last month that they would support Dr. Bhattarai if he was a prime ministerial candidate from the party (now Mr. Prachanda is the candidate)! Few days ago, the prime minister of India sent an unwelcomed or uninvited envoy unilaterally to mediate between political parties of Nepal. Radios and papers have reported that he asked many groups not to support the Maoists. Interesting enough is that he met all current office bearers (in order of seniority based on initial party portfolio: Mohan Vaidya or Kiran, CP Gajurel or Gaurav, Puspa Kamal Dahal or Prachanda, Ram Bahadur Thapa or Badal, Baburam Bhattarai, Post Bahadur Bogati and Narayan Kaji Shrestha or Prakash) of the Maoist party in group but met Dr. Bhatarai privately! Dr. Bhattarai has been accused in the party to be favoring India. The envoy also met the army chief. There is a report that a central committee member of Maoist party who moved to this party from a Madheshi party has been life threatened by an Indian Embassy officer to move back to the Madhesi party. Observers are surprised why does the Maoist party not wage peoples’ movement on the basis of issues to be incorporated in the new constitution for leaping forward from the current mess of non-mobility (neither government and nor the Third Peoples’ Movement)? How futile you think the effort is to go to power for the Maoist on the basis of shaky votes which can be easily horse-traded to pull them back and when they have been defeated continuously for four times? Which path ahead: confrontation or finessing or a midway of waging peoples’ movement on the basis of issues to be incorporated in the new constitution for the time being? 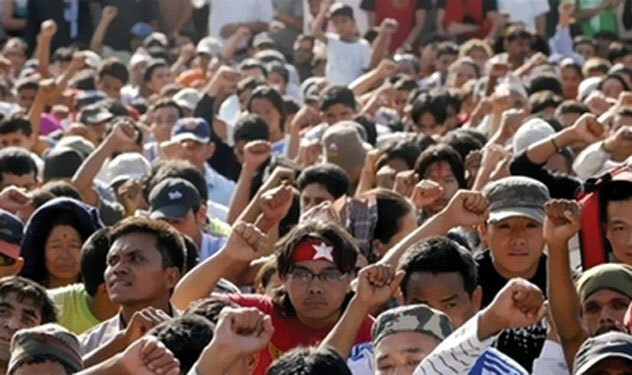 If they choose the midway, the Maoist party must take the largest class (the laboring class) issues by amending the proposed constitution in order for not aborting the movement again (as was the case with the Third Peoples Movement last May). Kasama received the following statement from Shola Jawid. Prachanda: The State Torments People. We are the Relief. This interview is from The Red Star, Volume 3, Issue 17, July, 2010. By Prachanda, Chairman, Unified Communist Party of Nepal-Maoist (USPN-M). Both of the options are open. But, we also discussed about the possibility of the national unity government in the politburo meeting. We came to the conclusion that the possibility of a national unity government is getting weaker. Taking this situation into account, we have decided to remain prepared for both options. This article is From The Red Star, Volume 3, Issue 16. June , 2010. Friend Mao has defined party, people’s army and united front to be the three magic weapons for revolution. In the process of developing these three magical weapons in Nepal, the Nepalese communist movement has been victim of ‘tailsm’ instead of developing its proletarian policy and slogans in its independent way to uplift the class struggle in a new way. An obligatory situation is created before the proletarian class to centralize it’s target against the main enemy for the protection of class interest and it’s achievements on account of development of revolution. 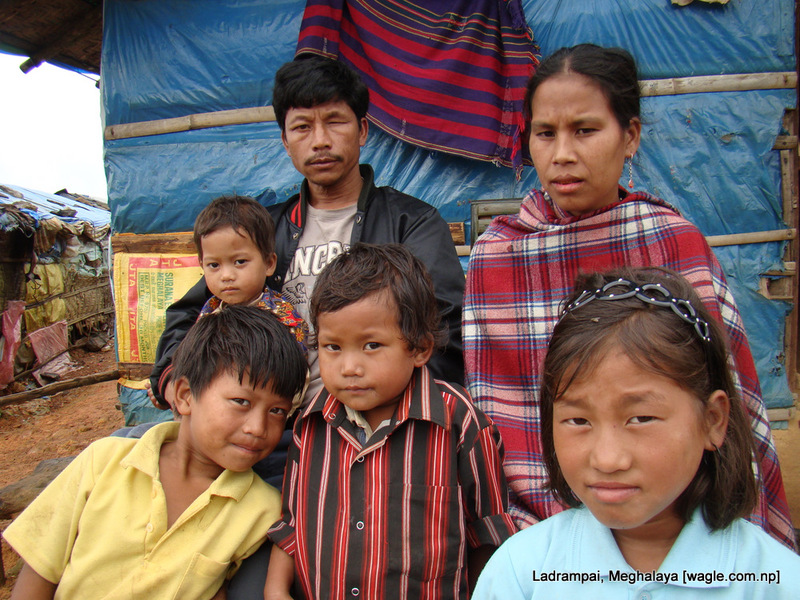 A mixed family from both the Nepali and Khasi people, among migrant coal miners in India. ETHNIC CONFLICT OR POLITICS OF DEMOGRAPHY? A dangerous conflict is going on between Indian Nepali people and the Khasi people. The violent actions have resulted in worse consequences and the Indian Nepali people are being chased from Meghalaya. It is a very serious issue not only for the the Nepalese origin people but also for the human being. It is very serious in the sense that Nepalese origin people are being burnt under the fire in broad daylight. However, the Central government of India is hearing nothing rather to say that it is an internal affair of India. But, the notable thing is that if only one Indian origin people is attacked by someone in the foreign land, the central government of India gives quick reaction. The Nepalese origin people are burnt, their shelters and houses are set fire and inhuman barbaric actions are taken. (About 70,000 Nepali origin people live there.) The local administration, state administration and the central government seem to be indifferent to it. This has made the issue very serious. There are so many questions whether it is a spontaneous incident or the pre-planned. Is it only a real ethnic conflict. Or, is it a uranium debate only? Or, is it the genocidal plan? Or is it an Indian hegemony imposed by other means? These questions are still unanswered and they are under inquiry and research. KATHMANDU: The UCPN-Maoist’s People’s Liberation Army (PLA) is all set to announce vacancies for the PLA fighters on Tuesday following the vacancy announcement of Nepal Army on August 2. Issuing a press release, spokesperson and deputy commander of PLA Chandra Prakash Khanal “Baladev” said that the PLA will also announce the vacancy. The PLA accused the Nepal Army of not abiding by the Comprehensive Peace Accord, and condemned the vacancy announcement of over 3000 positions in the Nepal Army. Aspiring candidates for the PLA should be above the age of 18 and hold citizenship of Nepal. He/ she should be literate and patriotic. The applications should be submitted to all divisions of seven headquarters with five passport size photographs. The current strength of the PLA is 19,000 and the target is to increase the strength to 31,000. 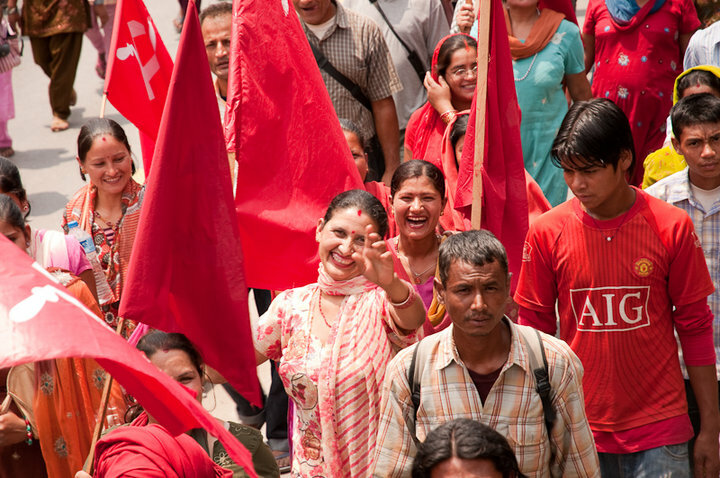 Red Star: Is It Possible to Carry Nepal’s Revolution Thru to the End? IS COMPLETION OF REVOLUTION POSSIBLE? Ever existing question – “is completion of revolution possible?” has been a hot debate in the specific political situation of Nepal. The debate, though it is not systematically run, has expanded from capital city to the remote villages and the corners of the country and in the international political arena. The present political situation of Nepal does not express the victory of any sides and defeat of any other. Rather, it clearly shows that there is an intense struggle between the two antagonistic ideologies and the visions. Neither side is ready to accept its defeat although the monarchy from the reactionary side has been knocked down. The present political situation shows the possibility of further class struggle for the rest of the victory or the loss. Everybody knows that the UCPN- Maoist took initiative to take the way of agreement by analyzing the poor condition of the country and its incapability to bear the war and destruction for a long time. However, the agreement has not been accepted by the morally defeated parliamentary forces. It has violated the agreement and built the government status quo only. It is trying to take counter offensive to de-institutionalization of the revolutionary achievements gained through the People’s War and the People’s Movements. Therefore, they are being success to hatch conspiracy under the sympathy and support from the reactions.